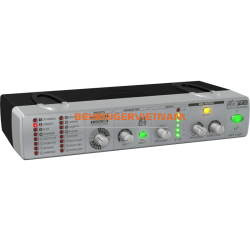 Box Dimensions (LxWxH) 20.9 x 12.0 x 4.2"
Bộ xử lý tín hiệu Behringer SPL3220 là sản phẩm của thương hiệu Behringer thuộc dòng Compressors/Limiters được nhập khẩu và phân phối chính hãng bởi Thiết Bị Âm Thanh Sân Khấu tại Việt Nam. 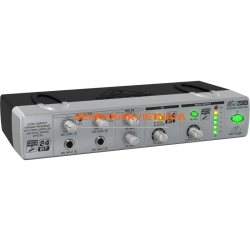 40-input channel, 25-bus digital mixing console for Studio and Live application. 32 MIDAS-designed, fully programmable mic preamps for audiophile sound quality. 25 Fully automated motorized 100 mm faders allow for instant overview, powerful scene management and DAW control. 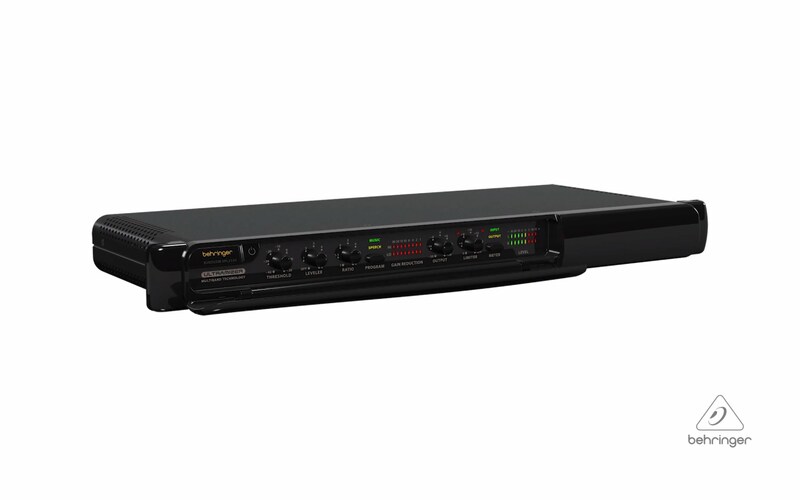 16 XLR outputs plus 6 additional line in/outputs, 2 phones connectors and a talkback section with integrated or external mic. Individual and dynamic LCD Scribble Strips on all channels and buses creating easy assignment and intuitive channel distinction. iPad* and iPhone* apps for professional remote operation available free of charge—no host PC required. High-resolution 7" day-viewable Color TFT for easy viewing of workflow components and parameters. 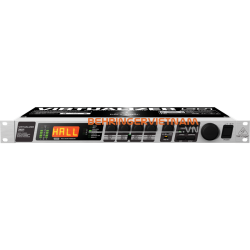 Main LCR, 6 matrix buses and 16 mix buses each featuring inserts, 6-band parametric EQ's and full dynamics processing, plus 8 DCA and 6 mute groups. 40-Bit floating-point DSP features "unlimited" dynamic range with no internal overload and near-zero overall latency (0.8 msec). Powerful scene management for convenient handling of complex productions. 48-channel Digital Snake ready*** via AES50 ports, featuring KLARK TEKNIK’s SuperMAC networking capability for ultra-low jitter and latency. USB type-A connector providing file storage and uncompressed stereo recordings plus show presets and system updates. 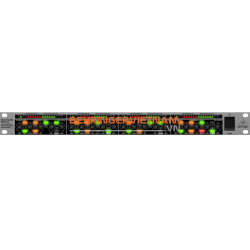 Dedicated and easy-to-use channel strip section with direct access controls and graphic user interface for intuitive workflow. Additional user-definable control section allows for on-the-fly adjustments of your favorite parameters. 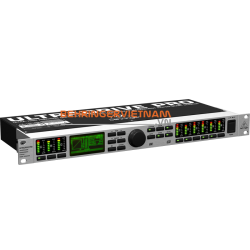 ULTRANET connectivity for BEHRINGER's P-16 Personal Monitoring System*** plus AES/EBU stereo digital output and MIDI. Networked remote control for show setups with on-screen software editor via Ethernet. Built-in expansion port for audio interface cards or digital networking bridges. Future firmware updates, incl. new FX “Plug Ins”, downloadable from behringer.com free of charge. Âm Thanh Sân Khấu một trong những nhà cung cấp thiết bị âm thanh hàng đầu tại Việt Nam. Chúng tôi chuyên nhập khẩu và bán ra thị trường âm thanh tại Việt Nam những dòng sản phẩm âm thanh hội trường, âm thanh sân khấu, những thiết bị âm thanh dùng trong dàn karaoke chuyên nghiệp, Micro Behringer.. 100% chính hãng, chất lượng sản phẩm tốt nhất, giá cả cạnh tranh nhất trên thị trường âm thanh Việt Nam.